For many years, the go-to tactic for ranking high in search engine results was keyword stuffing. Basically, this involved cramming popular keywords into all sorts of tags and locations. The end result was a tragic amount of truly dreadful content – Articles that had little or nothing to do with the keywords, and posts that repeated the same words over and over, to the point of being incoherent. The search engine Gods did not like this. They wanted searchers to connect with content that answered their questions and helped them accomplish the things they wanted to accomplish. So Google, Bing, et al, repeatedly tweaked the algorithms to weed out the foolishness. Today, search engines aren’t just identifying content with the right keywords. They are actively hunting for great content that best matches the objectives of the searcher. When you search for something online, the first few websites that show up are paid ads. Underneath them are the websites that show up “organically”, without having to pay for the privilege. Online marketers love organic SEO because they recognize it as the golden ticket! 70% of the links that search users click on are organic. 70-80% of users ignore the paid ads and focus on organic results. It is affordable. No direct charge per click or impression. It is sustainable. Unlike paid SEO efforts, your organic traffic won’t dry up the moment you stop paying. It gives you a way better click-through-rate (CTR). Generally, more users click on the organic results. This means that you can expect to get more clicks from a highly placed organic listing than from a highly placed paid ad. You have a strategic advantage over paid ads. Once you have made it to a good place in the organic results, competitors can’t just buy their way in. They can buy ads, but statistics show (see above) that you are still in the stronger position. Writing SEO content is about creating content that is loved by both readers and search engines. No need to worry. It’s actually pretty simple to accomplish both of these objectives at the same time. In this article, I share 21 tips to help you master writing SEO content. To make it easier, I have organized them into chronological order, based on the steps I follow when writing. Who exactly are you writing for?When you really understand your ideal client – and you can see them in your mind – it becomes easier to “talk” with them through your writing. Every element of your post, from your topic, writing style, and tone, to your choice of images, should be designed to connect with that ideal customer. Research your topic thoroughly. If you will be using quotes, statistics, or excerpts from other articles, don’t forget to cite sources. Link to those sources in your piece. Out-links are an SEO plus! “Evergreen content” is content that remains fresh and relevant to readers over the long haul. In contrast, time-sensitive content may create an immediate buzz but its life span is short. For example, a post titled “5 Ways to Be a Better Manager in 2015” might do well in January of 2015, but an evergreen post titled “How to Be a Better Manager” would be perpetually relevant. When it comes to evergreen versus time-sensitive content, it is not an either-or situation. You need to create both timely and timeless pieces. The important thing is to make the choice BEFORE you start writing. Once you have started writing, do not allow yourself to keep searching for more information. Research is an important part of writing SEO content but it can become a rabbit hole. At some point, you need to stop googling. Set the timer on your phone and when the alarm goes off, close your browser and start writing! The focus keyword is the main word or phrase that you want your page to rank for, so when people search using that keyword, they will find you. For several reasons – too complicated to bother getting into – it is usually best to use a long tail keyword. A long tail keyword is a phrase containing multiple words. For example, in this post the focus keyword is “writing SEO content”. There are lots of great sites to help you decide on the best focus keyword. I usually start with Google Adwords Keyword Planner. After reading this post, do a quick check and you will see that I have followed my own advice. Every post should have three basic parts: an introduction, body, and conclusion. Make a list of headings to guide the order of information within the post. If possible, one heading should include your focus keyword or keyword phrase. In most cases, you final heading should be “Conclusion”. Headings are important in so many ways. Firstly, they help put your thoughts in order. This speeds up the writing process and makes your post more readable. Secondly, they are important for SEO. Headings and sub-headings help search engines figure out your main topics, which helps in your ranking. I try not to get too bogged down with readability and SEO preferences when I am writing the first draft. Instead, I pretend that I am having a conversation with someone (one of my buyer personas). Business blogging is about explaining your topic in plain, simple terms. A conversational tone keeps you from veering into jargon. Tip #10: Review. And Review. And Review. Great writing requires great editing. When reviewing your post, you need to consider both readability and SEO. The average attention span is dropping like a stone in water. Plus, the majority of your online readers are likely viewing your post on the small screen of a tablet or the even smaller screen of their phone. This makes long paragraphs seem even more overwhelming. As a rule, paragraphs should not exceed 5-6 sentences. Personally, I prefer them shorter than that and often keep my paragraphs to only 1-3 sentences. Make sure the content is divided up evenly between headings. If you have one heading that has way more text than the others, try to break it up. Be aware of length. Google likes longer articles. In blog posts, try to avoid going under 500 words. Ideally, aim for 1500 words or more. Incorporate your focus keyword or keyword phrase into the post, but not too frequently. Google will punish you for “keyword stuffing.” Filling pages with keywords results in a negative user experience, and can harm your site’s ranking. A good rule of thumb is 1-2% of your text. So, if you end up with a 1500-word article, you can safely mention your keyword 15-30 times. Ideally, your keyword should appear in the first sentence of the post. 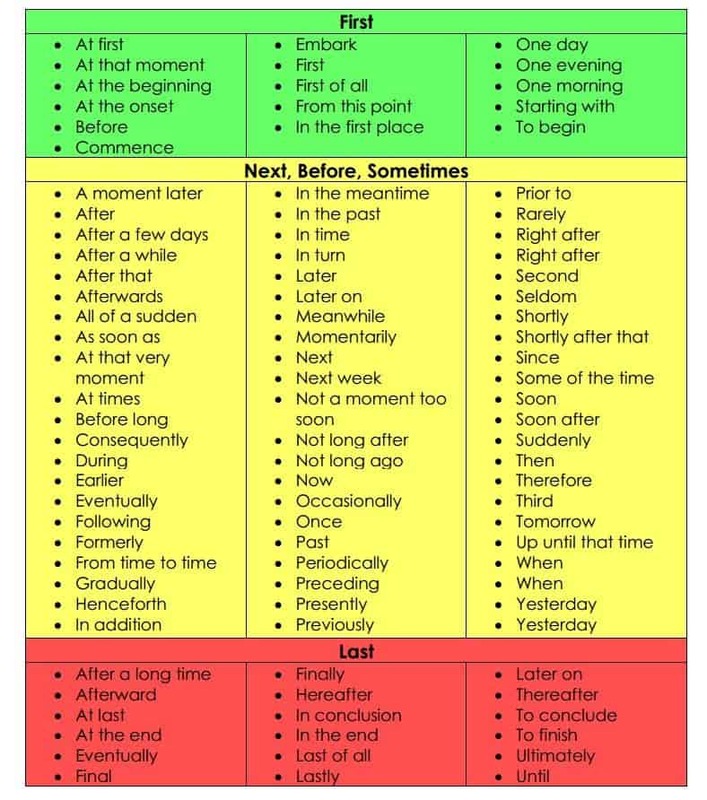 Transitional words and phrases build connections between paragraphs and sections. Readers appreciate transitions because they link ideas and concepts and make text easy and natural to read. Passive voice: Our product is recommended by doctors. Active voice: Doctors recommend our product. There are situations where passive voice is appropriate. That said, you should try to stick with active voice most of the time. If you have written previous posts on the same, or related topic, link to them. This will improve your ranking in Google and, of course, your reader may be interested in the extra posts. Never post an article without images! And when adding an image to your post, edit the image first to make sure it contains alt attributes with the focus keyword. Writing SEO content is hard! When you create something that connects with your ideal audience, your next thought should be how to maximize the impact. Think about all the ways you may be able to re-purpose that content. Can you condense the points into an infographic? Or a video? Or a slideshow? Are there quotes and statistics you could turn into tweets? Do you have enough related posts to create something larger, like an E-Book? The more ways you can package your SEO content the better! There are lots of free tools available online. They can help you do everything! I have a collection of favourites that help me find and re-size great images, insert tweets in my posts, make infographics, and more. Consistently adding more content reminds search engines that your website is alive and well. Search engines crawl inactive sites less often, which can negatively affect your rankings. Don’t sacrifice quality for quantity! But do try to produce content on a regular, sustainable schedule. More content means more reasons for people to come to your website. And don’t panic if you have an occasional run-in with writer’s block (It happens to everyone now and again). Put simply, great content is king. Your objective is to write SEO content that engages the people who find it when they are searching! When you are able to consistently create content that attracts and delights both search engines and readers, you have a HUGE advantage over competitors who haven’t mastered this skill yet.